Support Remote Control: Turn electrical appliances on/off via smartphone and tablet anywhere through 2G/3G/4G/Wi-Fi networks. Scenes Setting: Customize your own personal scenes to control multiple devices with pre-set scene easily. 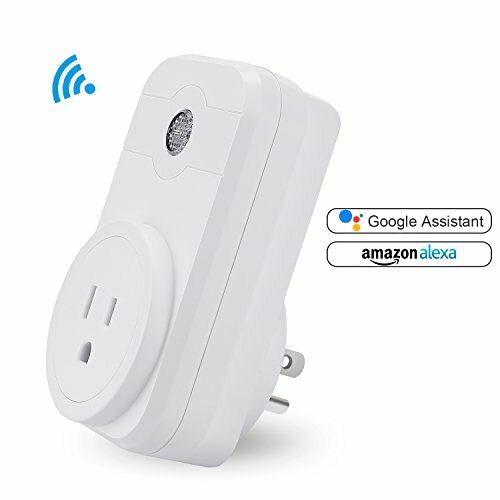 Our smart plugs work on 2.4G WiFi, so please check that your phone is connected to 2.4GHz WiFi before connecting your phone to your WiFi router. If your Wi-Fi router is Dual-band router, please select 2.4G network on phone to add it. We promise a 24-month warranty. Any questions about our products or service, please do not hesitate to contact us.